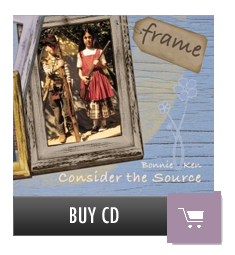 You can get it on iTunes, or Cdbaby. 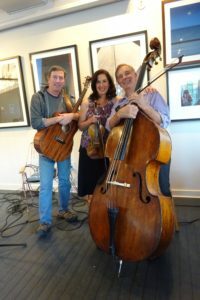 Bonnie Bewick Brown, Boston Symphony fiddler, and Ken Bewick, Santa Cruz guitarist and songsmith bring together their Celtic, classical and folk styles in a delightful album of tunes playing on coastal themes, growing up, and meeting in the middle. Bonnie’s tunes. We felt that Narwhals were underrepresented in folk music, and Homer was my much adored cat who used up 8 of his 9 lives stuck up in a tree for 6 weeks. He lived happily for 3 more years after this incident! This song really sums up our childhood. It’s amazing that it took 25 years before we started playing together! Written by Ken, this song takes place on a foggy night, at a dockside bar in a run-down California fishing town. Our protagonist gets into a bit of an argument with one of the other patrons, who turns out to be a ghost! It’s exciting, but also kind of sad. Best enjoyed with a bottle of cheap beer, and some stale peanuts. A set of traditional Irish tunes opening with a mournful air Bonnie composed.